Performance by Haas Kowert Tice + The Winterlings album release There's a lightness and joy to the music of American roots trio HAAS KOWERT TICE, a sense of weightlessness that belies the complexity of the musical arrangements. This is music that uplifts, that soars, but that is also grounded by a respect and love for tradition. 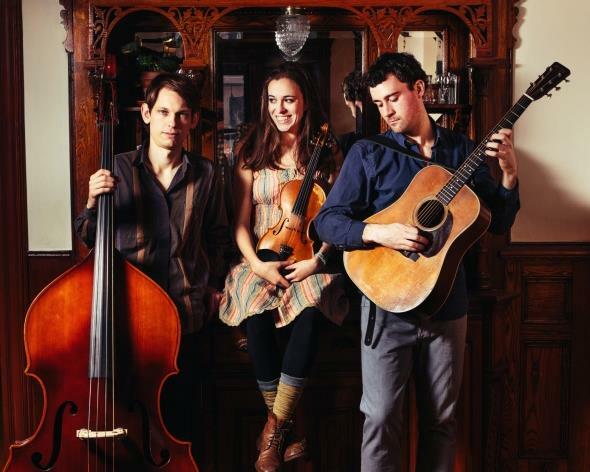 With just three acoustic instruments, fiddle, guitar and upright bass, Haas Kowert Tice are building a new kind of roots music. The WINTERLINGS are songwriters and multi-instrumentalists, Amanda Birdsall and Wolff Bowden. They had toured their first album, The Animal Groom, from Miami to NYC to Seattle. Called an undeniable gem by No Depression, the album hit #6 on the Roots Music Report Folk Chart.